Grow with our family as a Warehouse Associate at our Ashley Furniture HomeStore & Unclaimed Freight Furniture in Mitchell, SD! If you are customer oriented, self-motivated, and efficient then this may be the opportunity for you! WE OFFER great employee discounts, competitive wages, a clean work environment, and more! Join our growing family as a Warehouse Associate at The Furniture Mart in West Fargo, ND! If you are customer oriented, motivated, and efficient this may be the opportunity for you! WE OFFER competitive wages, great employee discounts, and more! Grow with our family as a Receptionist at our Furniture Mart USA Corporate Office in Sioux Falls, SD! Make a positive difference by creating a welcoming first impression both in person and over the phone. We’re seeking a customer-oriented, efficient, and organized individual to assume front desk reception duties. Assist Accounting department with various tasks including filing, data entry, modifying Microsoft Excel spreadsheets, Word documents, etc. WE OFFER an excellent benefits package, competitive wages, access to our on-site fitness center, employee discounts PLUS a fun and friendly work environment! Grow with our family as a Customer Pick-Up Lead at Furniture Mart USA’s Distribution Center in Sioux Falls, SD! If you have strong leadership skills, are a great communicator, enjoy providing excellent customer service, and are motivated to utilize your talents then this may be the opportunity for you! Excellent benefits package, competitive wages, access to our on-site fitness center, employee discounts and more! Grow with our family as an IT Technician at our Furniture Mart USA's Corporate Office location in Sioux Falls, SD! Do you enjoy making a meaningful contribution and are you self-motivated?! This is an exciting opportunity for an individual with strong problem-solving skills beginning a career in IT. WE OFFER an excellent benefits package including Medical/Dental/Vision/Life/Disability/Flexible Spending Plan/Profit Sharing 401(k)Plan/Paid Time Off/Employee Assistance Program/Referral Bonus and more! Grow with our family as an IT Engineer at our Furniture Mart USA's Corporate Office location in Sioux Falls, SD! This is an exciting opportunity for an individual with strong diagnostic and problem-solving skills, solid technical experience, and a desire to provide excellent service to our internal customers. WE OFFER a competitive salary and an excellent benefits package including Medical/Dental/Vision/Life/Disability/Flexible Spending Plan/Profit Sharing 401(k)Plan/Paid Time Off/Employee Assistance Program/Referral Bonus and more! 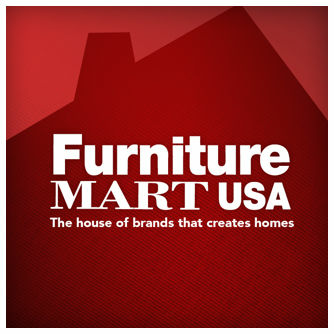 Grow with our family as a Maintenance Associate at Furniture Mart USA in Fridley, MN!! This exciting opportunity offers various hands-on maintenance duties. Make a positive difference by ensuring our facilities are in excellent operating condition! Operate equipment such as forklift, skid loader, boom lifts, etc. WE OFFER an excellent benefits package, competitive wages, great employee discounts, and more! Join our team as a Customer Pick-Up Associate at our Ashley HomeStore Distribution Center in Davenport, IA! Our successful, family-owned company is seeking a motivated, dependable, and efficient individual to grow with us! Grow with our family as a Lift Operator at Furniture Mart USA’s Distribution Center in Sioux Falls, SD! Our successful, family-owned company is seeking a motivated, dependable, and efficient individual to grow with us! Competitive wages, great benefits, on-site fitness center, employee discounts, and more!